Tyson Frizell will give himself two weeks on the sideline before he attempts to make his NRL return for St George Illawarra from a ruptured testicle. 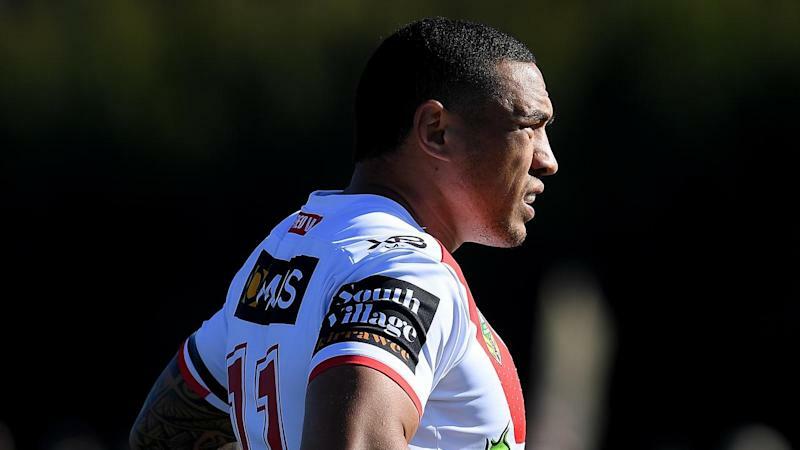 Frizell was back around his Dragons teammates at training on Wednesday, after staying in Townsville to have immediate surgery on the injury following Saturday's loss to North Queensland. The NSW State of Origin back-rower will miss Thursday's clash with South Sydney as well as next week's trip to Brisbane, but is a chance of returning in round four against Newcastle depending on the advice of doctors and how he heals. Frizell said at the time of the hit - which came in a collision with Jordan Kahu's knee - he was not overly concerned about the accidental low blow, before the pain didn't subside. "As any other bloke you get hit there and there is initial pain but after a while it goes away," Frizell told the Dragons' website. "That pain wasn't going away for a while and then I played a bit on during the game with the injury. I obviously came off after that and it all hit home as soon as I got in the sheds. "I've got a couple of days off now doing nothing and just recovering. I think I will give my body at least two weeks of very minimal movement around. "And then from that two week period we'll see how it goes after that." The injury came at a tricky time for the Dragons, given Frizell was only playing in the middle at lock because of Jack de Belin's ban. Another possible lock option in Korbin Sims but he is still suspended until round three, after copping a two-game ban for a dangerous tackle when playing for Brisbane against the Dragons last year. Blake Lawrie will start at lock against the Rabbitohs, with Josh Kerr to come onto the bench after playing representative football for the Indigenous All-Stars last month. "It's always a young man's dream to be able to play at home on their debut," McGregor said of Kerr. "He's a big body with a really nice carry, so we've got a handy replacement."